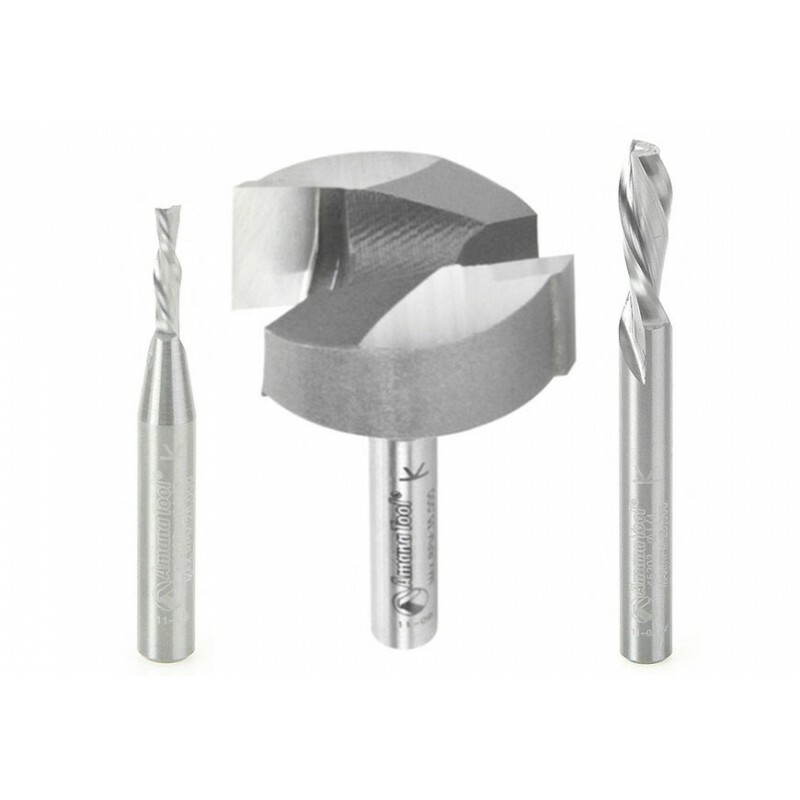 The Axiom ABS-201 Starter Bit Set exclusively designed for our i2R series machines with 1/4" shank is our most popular collection of bits and provides you with all the essential basics that you’ll need to get started with your new Axiom CNC router. 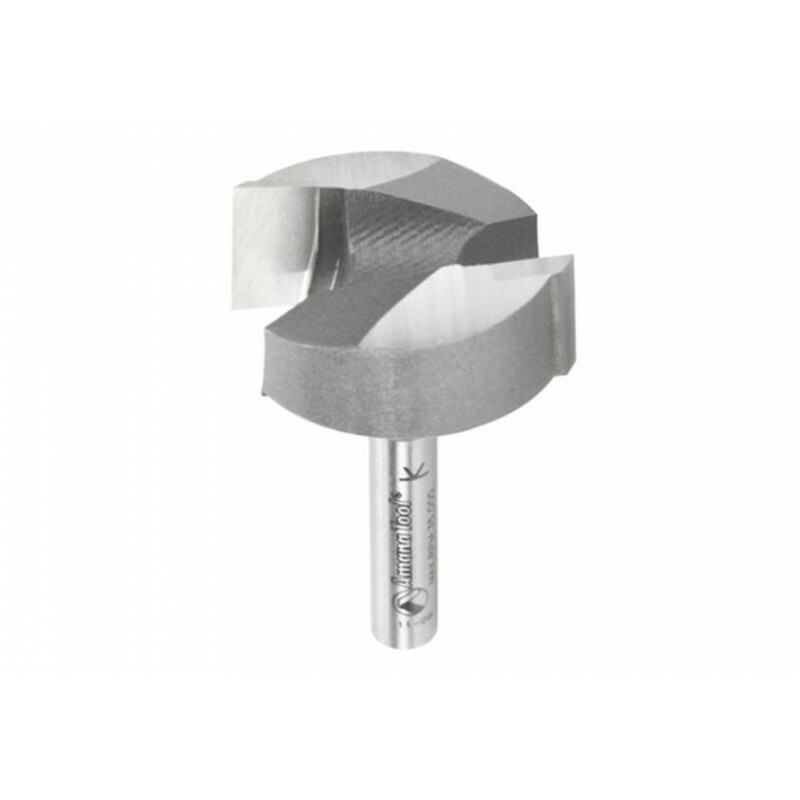 The 1-1/4” diameter mortising bit is essential for surfacing the sacrificial MDF spoil board to ensure the utmost in precision. 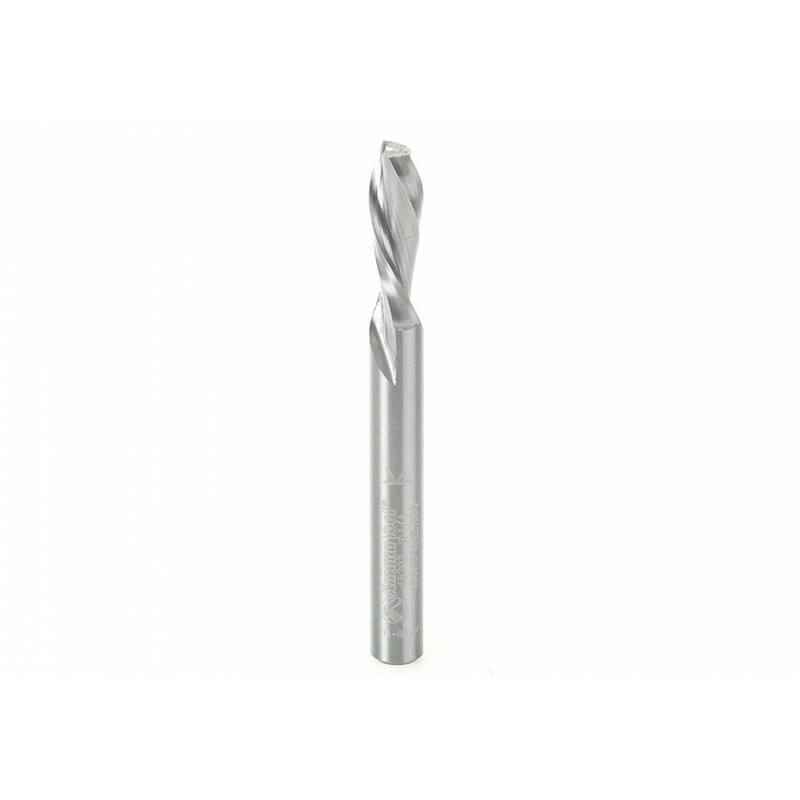 The 1/8” and 1/4” solid carbide down-spiral straight bits are the ideal solution for nearly every pocket or cutout operation. 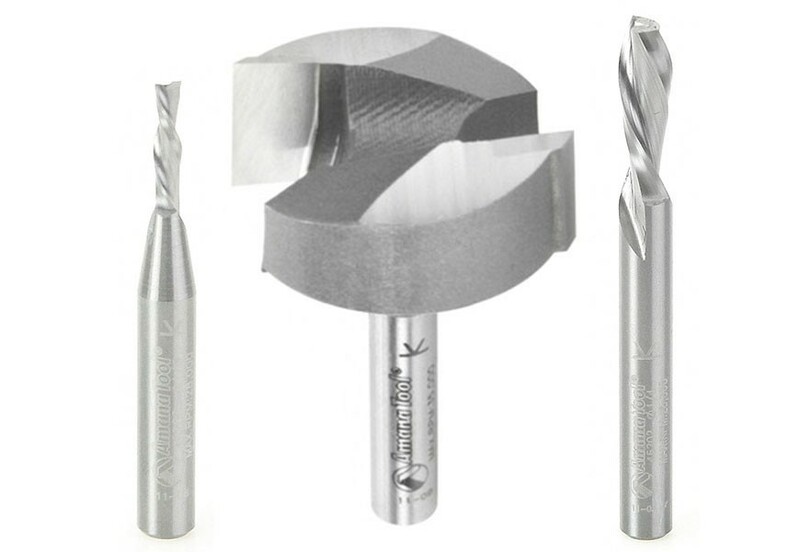 *Vcarve and Aspire users* The purchase of this Axiom router bit set includes a free download of the tooling geometry and simple instructions which allow you to easily import your new bits directly into your Vectric tooling database.